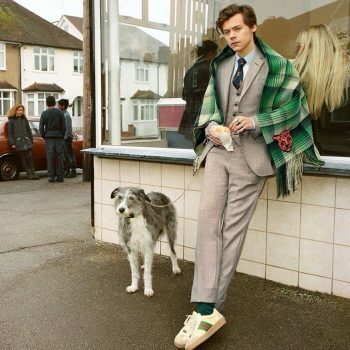 Harry Styles brings his pet chicken and dog into the fish and chip shop. Creative Director: Alessandro Michele Photographer: Glen Luchford Art Director: Christopher Simmonds. Nba star Stephen Curry arrived for the Warriors vs Cavs NBA Finals game 1 wearing a Givenchy tracksuit.